Sir John Tomlinson Hibbert, KCB, PC, JP, DL, DCL (5 January 1824 – 7 November 1908) was a Liberal Party politician in the United Kingdom. The eldest son of Elijah Hibbert and Betty Hilton, he was educated at Shrewsbury and at St John's College, Cambridge. He was called to the Bar, Inner Temple in 1849. 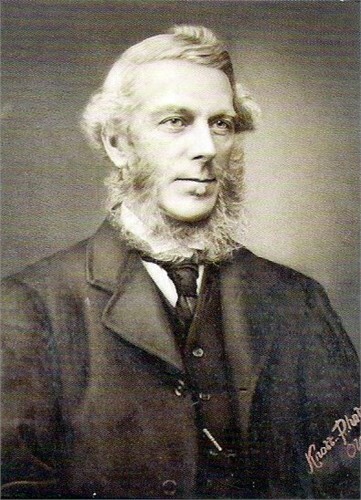 He was Member of Parliament for Oldham from 1862 to 1874, 1877 to 1886 and 1892 to1895. He unsuccessfully contested the seat in 1895. 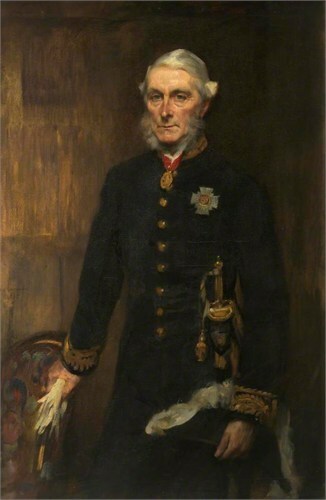 Hibbert served in government as Parliamentary Secretary to the Local Government Board from 1872-1874 and 1880-1883, as Under-Secretary of State for the Home Department in 1883-1884, as Secretary to the Admiralty in 1886 and as Financial Secretary to the Treasury from 1892-1895. He was Chairman of Lancashire County Council and President of the County Councils Association. He served as President of the second day of the second Co-operative Congress in 1870. He was appointed a Privy Counsellor in 1886 and knighted in 1893. HIBBERT Sir John Tomlinson K.C.B. of Hampsfield Grange-over-Sands Lancashire died 7 November 1908 Probate London 30 March to Dame Charlotte Henrietta Hibbert widow and Percy John Hibbert esquire. Effects £58,204 1s 10d.